Google Plus vs Facebook: Which is Best for Business? Businesses of all sizes have seen that networking on the various social platforms works. When done effectively, it translates to widened exposure and in turn increased sales of products and services. When it comes down to the two giants in the field, which social network platform between Facebook and Google plus is best for your business? Facebook strides confidently into the arena with over 1.19 billion active monthly users. With such a far reach, surely your business will be getting the widest and best exposure, right? Well yes and no. A Facebook spokesperson commented that the company is: “getting to a place where because more people are sharing more things, the best way to get your stuff seen is to pay for it”. Are you willing to pay for your company’s latest Facebook promotion campaign? Claiming a chunk of the 4.5 billion daily likes may prove costly. For those that have little or no budget, the contest between the two giants may have just ended, especially given that Facebook advertising has been criticised for its potential reach since the introduction of Edgerank. Vic Gundotra stated that G+ “has seen a 58% jump in users in recent months” (May to October 2013). If within six months Google can increase its active users by 190 million, the threat to Facebook is considerable. Choosing to invest in the networking site at this relatively early stage, may serve your business’ best interests. 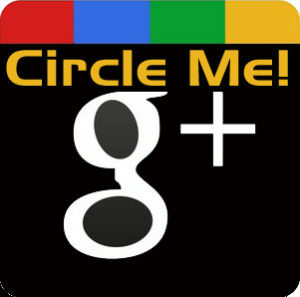 The massive increase in users for Google Plus highlights that current consumers are eager for high-calibre social interaction. If you’re able to output regular, high-quality and appealing content, you’ll be reaching the hundreds of millions looking for the Facebook alternative. Facebook boasts a massive audience, users advertising to one another via word of mouth through ad shares and commentary. Unfortunately, regular updates to their algorithms has dented business owner’s confidence. Fearful another change may mean customers will be taken even further out of reach, makes budgeting the worth of future campaigns difficult. Google Plus is not only growing ever-so-quietly, but the network is slowly integrating many Google products to give users a complete networking service, all in one place. Add to this that Google favour +1s above other social signals, and that G+ profiles tend to show up more in search results and it’s easy to see how it’s going to develop. Competitions and special promotions are a great way to create a buzz about your product; and it couldn’t be easier to create one for your brand’s Facebook page. With friends and family logging in to Facebook multiple times throughout the day, your campaign has plenty of opportunities to land with a potential customer. The value of word of mouth promotion as you know is priceless. Once you’ve used relevant content to engage with one member of a social cluster, you’ve injected yourself into their conversations. Now it’s time to pay attention to if and how it’s working for your business. Sure G+ doesn’t allow for any special promotions on your page, but its other features allow for great alternative marketing. Using Hangouts, up to ten people can share the same conversation space. You can personally meet and greet with up to nine of your customers at a time. Possibilities are vast, from carrying out direct market research, to networking and pitching to nine clients simultaneously. The ability to share and bounce ideas off international colleagues cements it as an ideal, professional social network. Both companies use advertising well. Facebook’s sponsored Ads positioned on user’s timelines are based on what they’ve previously liked. G+, however, makes use of +post ads. When customers have searched for an item or service, your ad will be featured alongside the results. Both approaches get your business reaching beyond those that have ‘liked’ your page or are in your established circle. Some customers may prefer to have products and services recommended to them when they are already in the market and actively searching. Stumbling across a well written article, or presentation at that moment is their ideal. G+ has been quietly working away in the background whilst Facebook make big splashes by announcing every minor change to the site’s algorithms, mobile abilities and more. This means that for many, G+ remains under the radar, but for businesses, ignoring the network could be fatal in coming years. Google is the king of search … and of advertising online. This means that those who dismiss the social offering from the company are losing out, even now. If your company isn’t on G+ yet, then it’s time to get moving, as it’s likely that it will become a much more useful advertising platform than Facebook in the near future.